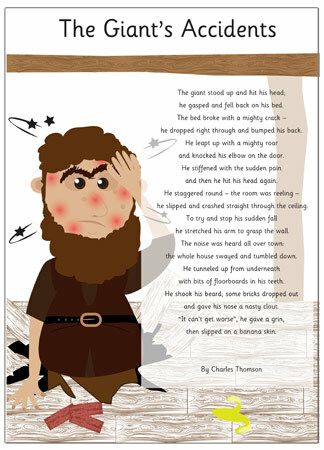 An illustrated version of Charles Thomson’s poem The Giant's Accidents. Ideal for children to recite as part of a Jack and the Beanstalk theme in your school or early years setting. Please not this resource has not been endorsed by the author in any way. Well, it’s now been endorsed by the author to the extent of saying that it’s his poem.